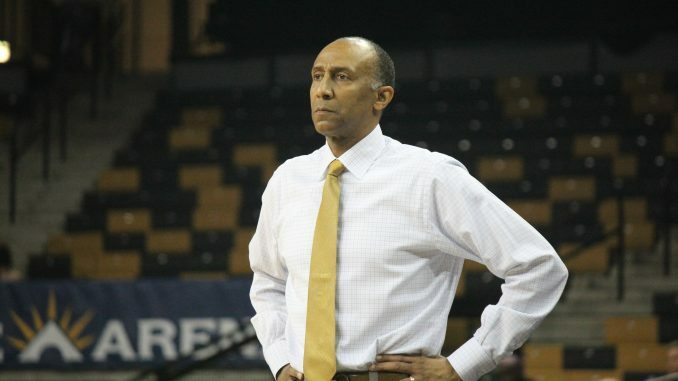 UCF Men’s Basketball coach Johnny Dawkins signed a contract extension through the 2023-24 season on Wednesday, per an announcement from athletics director Danny White. Dawkins has led the Knights for the last two seasons, posting a 43-25 record. His debut 2016-17 season included an overall record of 24-12, an 11-7 conference mark and an appearance in the NIT Final Four. Last year’s season started with high hopes before the team was hit with an unlucky streak of injuries. Aubrey Dawkins went down before the season with a shoulder injury, B.J. Taylor missed significant time with a fractured bone in his foot and Tacko Fall saw his season end early due to a shoulder issue. Even still, UCF finished 19-13 overall and 9-9 in AAC play. The year was highlighted by a road win over No. 24 Alabama and a season sweep of Memphis. Expectations remain high for the program this season, with Dawkins, Taylor and Fall all back as the core. The Knights could be a popular pick to finish at or near the top of the conference in 2018-19. Non-conference matchups with Cal State Fullerton, Alabama and Illinois State have already been announced for the upcoming season. The rest of the schedule will be announced at a later date.